Dr. Francisco Fabian Fuentes Carmona is currently working as Assistant Research Professor at Faculty of Agronomy and Forestry, Pontifical Catholic University, Chile. 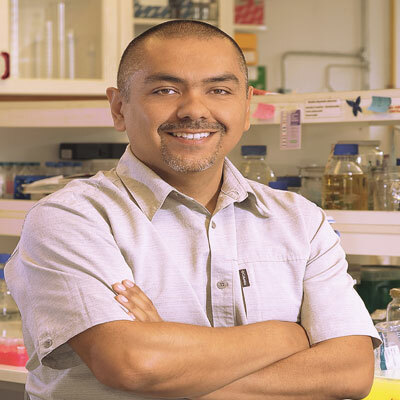 His prior working experience includes Postdoctoral Fellow at Department of Pharmaceutics, Ernest Mario School of Pharmacy, Director of Canchones Agricultural Experiment Station, Dean of Department of Agriculture of Desert and Biotechnology, Director of Biotechnology Undergraduate Program, Chief of Laboratory of Molecular Biotechnology, Assistant Research Professor, School of Renewable Natural Resources at Arturo Prat University, Consultant for Integrated Crop Production Systems, National Foundation for Poverty Overcoming and Consultant for Protected Cultivation of Horticultural Crops Projects, PRODESAL program, San Fabian de Alico, Bio-Bio, Chile. He obtained his PhD in Agroforestry and Veterinary Sciences, Molecular Genetics at University of Chile, Chile in October, 2007 and B.S. in Agronomy and Crop Science at University of Concepcion, Chile in March, 2001. He also completed Technical Internship on Genetics Advances for Horticultural Crops and Internship Research on following topics: Sequencing and Phylogenetic Analysis of Chloroplast bar code of Chenopodium genus, Developing Multiplex Fluorescent Microsatellite Markers for Genetic Diversity Assessment on Quinoa and Molecular Marker Screening to assess Genetic Diversity on Quinoa. He received awards including Postdoctoral Fellowship funded by the National Commission for Science and Technology (CONICYT), Chile. 2012-2014 and Doctoral Fellowship funded by the National Commission for Science and Technology (CONICYT), Chile. 2004-2007. He also received number of research grants as Principal Investigator, Associate Investigator and International Research Collaborator. He published 27 research articles in refereed journals, 16 book chapters and 10 articles as abstract and poster presentations. He is also serving as referee in more than 10 journals and editorial board member in more than 5 journals. He is member of following professional societies: Crop Science Society of America, USA, American Association of Pharmaceutical Scientist, USA and Plant Breeding Committee of ANPROS (National Association of Seed Producers), Chile. Publishing your research in Journal of Agronomy is simple and efficient. You will be guided through the submission process step by step. Before submission of your manuscript, it is strongly recommended to read Guide for Authors to minimize the chances of manuscript rejection.